We’ve got the ultimate wish list for moms! Whether shopping for your own, a sister, or pal who’s expecting (or even a little treat for yourself), there’s something for everyone. And if a homemade brunch is involved, we’ve got nine go-to recipes to bring to the table, too. The gift of radiant skin awaits! Help mom deep clean, refresh, and repair with these top picks. Unclog pores with a deep-cleaning mask that nourishes skin with ingredients like apple cider vinegar, lavender, and Aztec bentonite clay from California’s Death Valley. The sweet smell of rose is bottled to go! Perfect for desks, purses, or bedside tables, you can roll on the lovely scent whenever you like. Powerful against dirt and grime but gentle on sensitive skin, this electric cleansing brush gives your face the ultimate deep-clean. A luxurious night in the tub is always a treat. This pouch has everything you need to relax the day away, like seaweed brimming with more than 65 vitamins and minerals. Dry skin is no match for this mighty cream. The nourishing formula combines organic rosehip oil and black currant oil for luxurious hydration, night after night. This thoughtful formulation features beneficial botanicals plus vitamin B5, aloe, and shea butter to help support skin health. 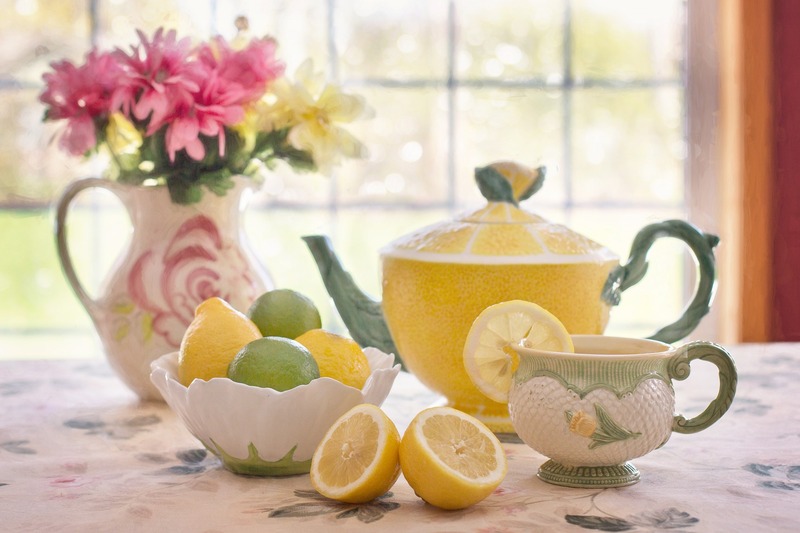 For a relaxing home, turn to herbs in a can, dreamy candles, and soothing teas. Give a yogi you love a gift she’ll use every time she rolls out her mat. This skidless towel in a fun print provides extra-grip, and it’s eco-friendly, too. Fresh herbs are the perfect finishing touch to every meal. Grow your own the easy way with ready-to-sprout plants. Just water and watch ‘em grow! 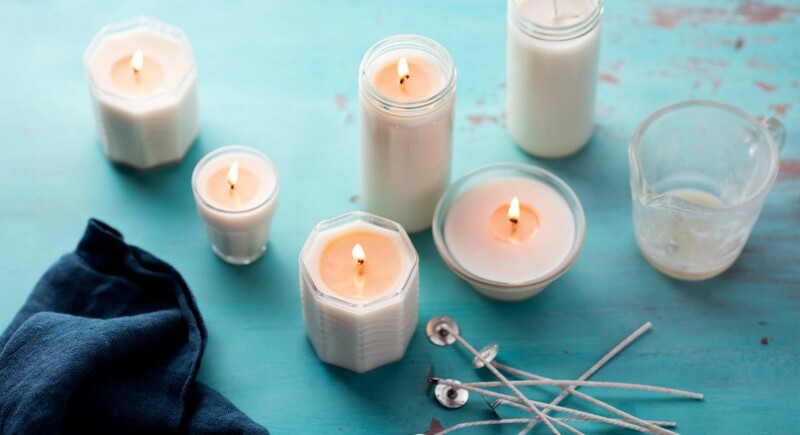 Wind down after a busy day with this dreamy candle made with beeswax harvested on U.S. farms. The scents of lavender, armoise, and clary sage will help you relax and melt away stress. A home cook can never have enough mixing bowls. Stock her kitchen with a colorful, 4-piece mixing bowl set perfect for baking, mixing, and more. Keep mom’s morning beverage warm for up to two hours with this sleek insulated tumbler. Holds 12 ounces of coffee, tea, or her other favorite sip. Blending earthy turmeric, spicy ginger, and sweet licorice, this tea will transport your senses. Enjoy a zen moment with every brew. This brush is good for your hair and good for the earth. The bristles are set in a soft pneumatic air cushion base to stimulate and soothe the scalp. Mama on the go? Stay hydrated with this modern infuser great for water or iced tea. The unique design helps minimize spills with a special twist-to-lock lid that’s everyone’s cup of tea. Envelop your body and mind with calming energy thanks to this 100 percent cotton, fair trade wrap. 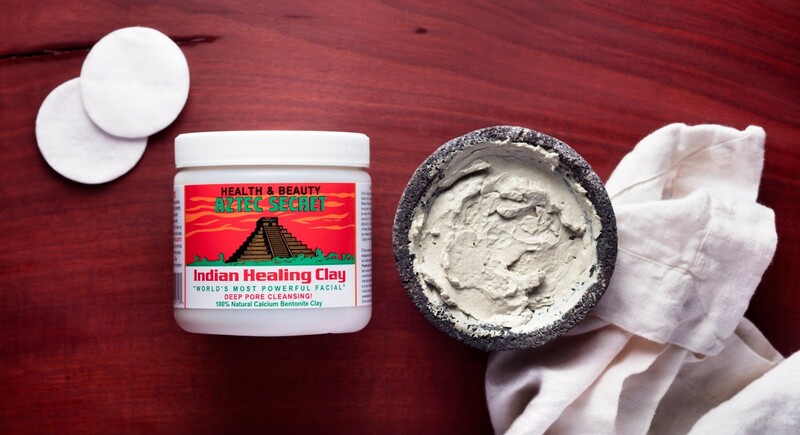 Use it hot or cold to rejuvenate the body with the power of clay nature beads and soothing lavender. Spa day every day! Wrap yourself in an organic, Fair Trade Certified cotton kimono robe featuring a patch pocket and attached belt. Inhale the sweet floral scent before sipping this soothing tea that’s made with organic rose petals. Give mom her chocolate fix with a smooth, satisfying, ethically sourced bar of organic cacao. It’s stone-ground and lightly sweetened with coconut sugar for the perfect bite. Have a little fun in the kitchen and make this versatile cheese at home! Each case comes with easy instructions so a spread of goat cheese, chevre, or feta will be ready in about an hour. For the ultimate relaxation brew, sip on chamomile. This blend offers Egyptian chamomile flowers and subtle slices of citrus fruit for the ultimate beverage that’s enjoyable hot or cold. From a bold dash of curry powder to a pinch of cayenne, vibrant seasonings do the heavy lifting when it comes to delivering layers of flavor. These 15 picks will refresh any spice drawer. 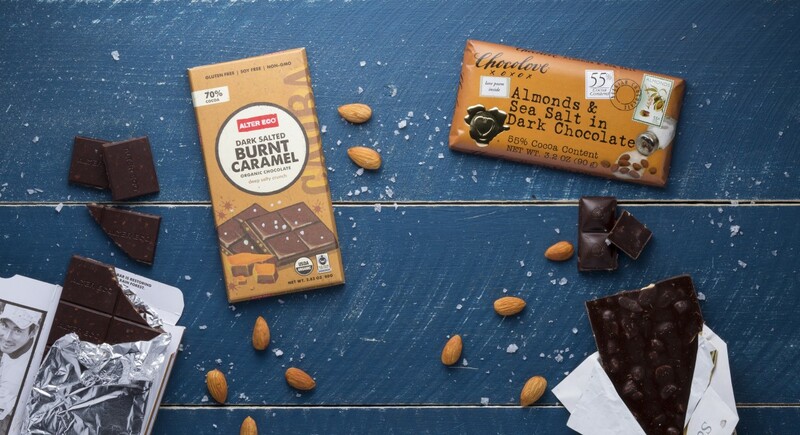 Enjoy a little indulgence with a chocolate bar crafted with European-style semisweet dark chocolate, buttery caramel, and a pinch of sea salt for a perfectly balanced bite. Every new mama can use a little extra time for herself. Help her feel pampered (even on late nights) with these thoughtful gifts. Read our lips—you can never have too many balms. This four-pack comes with juicy flavors and subtle colors that are just right for someone who only has a few minutes to get ready. Ease aches and pains after childbirth with a soothing soak made with organic herbs like witch hazel and yarrow herb that can help calm sore perineal muscles. With ultrasonic technology, this sleek diffuser gives you eight hours of essential oil enjoyment. Just add a few drops of your favorite oils and enjoy a brief moment of calm in the morning, afternoon, or before bed. The ultimate aroma for relaxation, lavender is a can’t-go-wrong pick. Pair it with a diffuser for the perfect, thoughtful gift. This balm does it all. From chapped lips to dry elbows, slather this salve wherever you need a little TLC. It’s made with only four ingredients including rose geranium essential oil. Salt lamps work to purify and clean air by neutralizing allergens, dust, pollen, pet dander, and odors. Great for moms and babies, especially for a soft glow during late-night feedings. Whether you’re whipping up breakfast-in-bed or cooking at a more civilized time of day, these nine recipes are made for sharing. Need even more ideas? We’ve got ‘em here! The perfect addition to a brunch spread, this pretty-in-pink pomegranate smoothie, made with hemp hearts and coconut water, will give mom some extra antioxidants on her special day. Our version of these favorite muffins are packed with carrots, raisins, walnuts, and sunflower seeds to fuel your morning. The secret to a relaxing Mother’s Day brunch is doing as much prep as you can. Make this dish the night before—it’s a stunner with sweet sauce drizzling down the sides! Be a short-order cook for mom’s big day with this Mediterranean-inspired skillet. Cherry tomatoes, zucchini, and basil keep flavors fresh. For the caffeinated mom, start her day by pouring a cup of joe into pancake batter for the ultimate no-fuss breakfast (with a buzz). Take a dip in the big blue sea with this smoothie bowl a mermaid (or a mom!) will love. It’s flavored with tropical fruits and sea algaes, and plant-based superfood powders add a scoop of protein. This satisfying smoothie features a nut base from almond butter and almond milk, along with a pour of raw, organic, and cold-pressed cacao creamer. Everyone will love a little chocolate with breakfast!